Do you like Extreme Bikers? Share it with your friends. 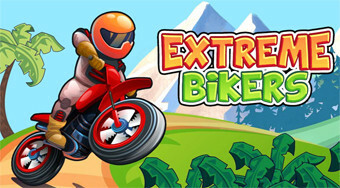 Drive on the motorbike on the playing field, overcome obstacles, make jumping over jumps and reach without falling to the finish.